California is in the midst of multiple regulatory efforts to reduce methane emissions from natural gas and oil operations throughout the state. 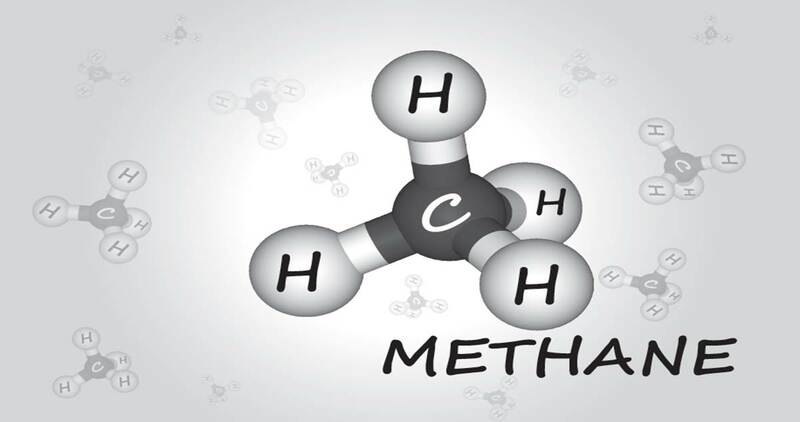 It’s a key opportunity to make a real dent in the state’s climate impact since methane, the primary component of natural gas, packs over 84 times the warming potential of carbon dioxide in the first 20 years after it is released unburned. One of the key efforts going on in the state is the development of new rules by the California Public Utilities Commission (CPUC) to reduce methane emissions from natural gas transmission, distribution, and storage, the systems that deliver gas to homes and businesses. And, at the California Air Resources Board (CARB), a new statewide plan to cut short lived climate pollutants from sources across the state is in development, as are new regulations to reduce emissions from oil and natural gas production, processing, and storage in California. While these rules, once completed, can make great progress towards addressing methane emissions from the energy sector in California, they miss one key factor: California imports nearly ninety percent of its natural gas from regions across western North America. So, it’s quite clear: even if we may make great headway in-state, California, the nation’s second largest user of natural gas behind only Texas, has a lot of work to do to make sure the gas we import and combust isn’t also responsible for significant climate damage before it gets here. It’s clear from looking at California’s Global Warming Law, AB 32, that the state has a responsibility to reduce methane emissions from the natural gas it uses, even if those emissions occur outside of state lines. AB 32 requires the state board to minimize leakage of greenhouse gases to achieve climate pollution goals, and under the law, the very definition of leakage is “a reduction in emissions of greenhouse gases within the state that is offset by an increase in emissions of greenhouse gases outside the state.” Over the last several decades, California has benefited from the use of natural gas for power generation and more recently, as a transportation fuel. However, recent analyses have shown that leakage of methane within the natural gas value chain can completely eliminate the climate benefit of using natural gas. So, while natural gas may be resulting in reductions of emissions within the state, leakage of methane from pipes and equipment used to produce and transport gas into California from other states can nearly offset that benefit. In addition to AB 32 requirements, recent regulations from 2013 (the Natural Gas Act – AB 1257) specifically addresses the need to reduce all methane emissions from the oil and gas sector, requiring CARB to keep natural gas a low-emission resource and consider its role in meeting greenhouse gas targets. And importantly, the law requires CARB to evaluate environmental impacts of emissions reduction strategies using science-based analysis. For California’s energy and climate regulations to be effective, and for agencies to meet their legal duties to address leakage, emissions of natural gas from pipes and equipment producing gas outside of California’s borders and bringing it into the state must be addressed. And, as detailed in a recent letter by Environmental Defense Fund (EDF) to CARB last week, ample opportunities exist for California to take a leadership position to make this happen. One area where California can step up is to ensure its own rules being developed at the CPUC and CARB provide a robust model for other states and the federal government to follow. For example, California can and should ensure that gas utilities reduce leaks within their transmission and distribution system quickly after they are discovered as opposed to continuing their common practice of letting leaks continue for decades simply because they aren’t deemed an immediate safety hazard. Similarly, California can require oil and gas producers inspect and maintain their equipment at regular, quarterly, intervals instead of less frequent annual intervals. The technology to take these steps is readily available and cost-effective. A 2014 report by ICF International found that by adopting available technologies and operating practices, industry could cut methane emissions by 40 percent below projected 2018 levels at an average annual cost of less than one cent per thousand cubic feet of produced natural gas. Another opportunity for California to play an active role is to support new regulations in other states and at the federal government. For example, by working with the Western Governor’s Association, California can work with states like Colorado to ensure others across the Western United States implement state-level rules to reduce methane during production. At the federal level, California can take a leading role by helping support robust regulations on oil and gas development currently before the Environmental Protection Agency and Bureau of Land Management and actively support stronger pipeline standards and economic incentives at the Pipeline and Hazardous Materials Safety Administration and the Federal Energy Regulatory Commission to address methane emissions from interstate pipelines. 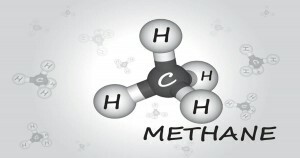 In its recent draft concept paper on reducing short lived climate pollutants like methane, CARB took an important step forward by recognizing the tremendous climate, economic, and public health benefits associated with cutting methane pollution and prioritizing actions with diverse and numerous benefits both inside and out of the state. California can build on this momentum by developing solutions that meet its legal requirements and provide a model for others across the country to follow in mitigating climate change.